Nikka Javier from Batangas is the latest evictee on ABS-CBN's Pinoy Big Brother (PBB) Teen Edition 4. 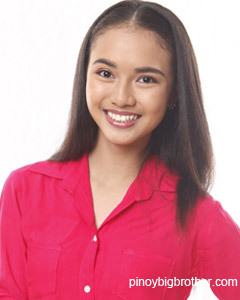 A 15-year-old student and beauty pageant veteran back home, Nikka Javier (whose real name is Angelika Felize Javier) was evicted during the 2nd Eviction Night of Pinoy Big Brother (PBB) Teen Edition 4 held Saturday, May 5, 2012. The official text and online voting results for the 2nd Eviction Night showed Nikka getting the lowest votes percentage of 15.08%, which is twice lower than the votes of one nominee, Mindoro's Karen Reyes who got 32.73% of the total votes, and thrice lower than another nominee, Myrtle Sarrosa from Iloilo City, who garnered a very high 52.19%. This just means the loveteams Kittle (Kit and Myrtle) and Kiten (Kit and Karen) are still both alive and will continue to sizzle and heat up our TV screens with their exciting clash inside the PBB house. On which loveteam are you? Just like Vince Manlapaz's eviction last week, Nikka Javier's eviction is also not surprising, because among the three (3) nominated housemates this week, she's the lowest-ranked housemate among the 3 nominees if based on this blog's popularity poll. The poll shows Myrtle Sarrosa as the top favorite among the 14 official housemates of PBB Teen Edition 4, Karen Reyes is currently ranked 7th while Nikka Javier is among the 4 least fave housemates. Tonight's episode also made a big announcement that PBB Teen Edition Uber 2012, aside from its Monday to Friday airing on ABS-CBN's afternoon block, will be airing also on a Saturday, at 4PM, starting May 12, to replace 'Oka2Kat' which had its finale today.